$58 INTRO OFFER! INCLUDES EXAM, X-RAY, REPORT OF FINDINGS AND FIRST TREATMENT- $280 VALUE! Sign-up now or call us at 925-778-6655 to take advantage of this exclusive offer. Welcome to Antioch Family Chiropractic. We have been established at 3105 Lone Tree Way, Suite C in Antioch since 1997. 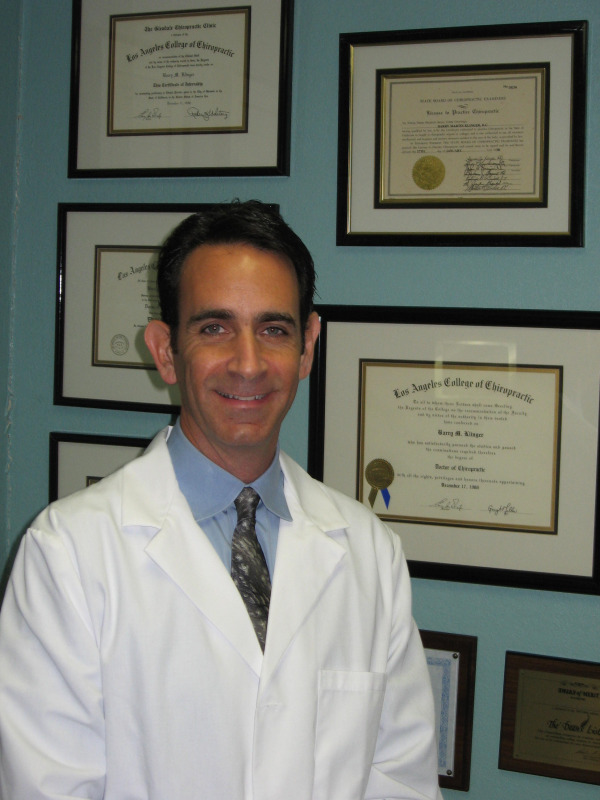 Dr. Klinger has been in practice for over 20 years and has owned and operated successful family wellness practices in Southern California and Connecticut as well. In addition to family wellness practice he specializes in spinal trauma due to automobile accidents, work injuries, sports injuries, repetitive lifting and daily life. If you have been injured recently or in the past or have failed to figure out the source of your neck pain, pinched nerve, headaches, migraines, back pain and stiffness call to schedule your appointment. In order to treat some of the more advanced conditions, such as pinched nerves and disc herniations due to spinal injuries caused by whiplash or spinal trauma from automobile accidents or work injuries, I have focused on studying advanced techniques. In addition to specific and gentle spinal manipulation I utilize the most advanced techniques in SPINAL DECOMPRESSION AND DEEP TISSUE LASER THERAPY. These advanced techniques allow me to successfully treat pinched nerves and disc injuries causing numbness, weakness and pain radiating to the arms and hands and legs and feet. They allow me to get to the root of your problem and make the necessary changes to give you back the function you need and the pain relief you are looking for. Besides treating acute trauma such as recent whiplash from automobile accidents and lifting type work injuries I pride my self on treating patients with chronic degenerative conditions such as osteoarthritis causing spinal stiffness and back and neck pain. I utilize x-ray analysis to determine the best treatment options to get rid of or reduce the stiffness and back pain. I would love to meet with you to figure out your particular problem. I pride myself on accepting new patients with the most challenging chronic and acute problems. Whether you have neck pain, back pain, headaches, migraines, pinched nerves with weakness or numbness into the legs or arms we have the latest tools and techniques to evaluate and treat your condition. We accept most insurance and Medicare. We also accept Care Credit and have affordable payment plans and options designed specifically for you. If you have been involved in an automobile accident or a work injury we take care of all the paperwork and get you the treatment you need most very often for no out of pocket costs. Give us a call and let one of our staff schedule a new patient appointment today. Its your life…live it in health!! "There Is A Feeling Of Hoplessness After A Car Accident Like Mine. I Was Sitting At Home Just Taking Medication Waiting To Get Better. I Felt Depressed And Useless. The More I Waited The Worse I Felt. It Seemed Like My Doctors Were Beginning To Not Believe That I Was Still Hurting And I Felt Limited. The First Thing Dr. Klinger Wanted Me To Do Was To Walk And Become Active Again. With Adjustments I Was Able To Move Better With Less Pain And Heal Well. I Can't Thank You And Your Office Enough For All The Help I Got And All The Benefit I Received. I Hope Nobody Has To Go Through This But If It Happens Go See Dr. K."